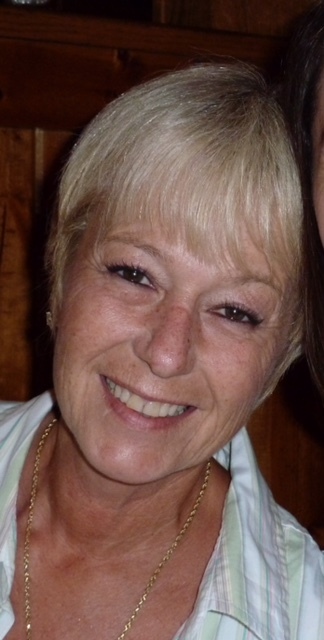 HURON - Barbara Carol (Dutt) Vermillion, 63, of Huron passed away on June 20 at the Cleveland Clinic after a lengthy illness. She was a Christmas Carol – born December 25, 1954 - in Sandusky to Florence and John H. (Jack) Dutt. Barbara – known by different groups of her friends over a lifetime as Barb, Barbie and Babs – was known and loved all over Erie County. After graduation from Huron High School in 1973, she had a variety of careers including radio sales and marketing, hotel management, bartending (including at the venerable Old Dutch Tavern), and as a licensed practical nurse overseeing home health care and elder care. She loved taking care of people, and in later years had gone back to college at Firelands to earn her degree to become a Registered Nurse, struggling to finish her studies even during her sickest days, never wanting to give up. She was a lifelong member of Christ Episcopal Church in Huron, where she served on the vestry, sang in the choir and managed innumerable special projects with her many close friends there. Barb is survived by her husband, Kieth, children David (Rachel) Smith, of Huron, and Jillian Patterson Smith of New Albany, IN; brother, John (Carol) Dutt of New York City; sister, Amy (Gary) Lewis of Huron; stepsister Julie Miller of California; stepmother Connie Simmons of Seattle; grandsons Jack and Evan Smith of Huron, Caleb and Joseph Greenawald and granddaughter Albany Smith of New Albany; great granddaughter Chloe Watkins of New Albany; Aunt Barbara Boeckling of Centerville, OH; niece Abby Walderzak of Huron and nephew Peter (Julia) Walderzak of Hudson, MA., along with numerous beloved cousins coast to coast. In addition to her parents, Barb was preceded in death by her brother, James Dutt. Friends are invited to remember and celebrate Barbie’s life at any/all of the following: Calling hours 4-7 p.m. Friday, July 6, at Foster Funeral Home & Crematory, 410 Main St., Huron. A memorial/celebration of life service, will be held, 11 a.m. Saturday, July 7, at Christ Episcopal Church, 120 Ohio St, Huron, and a joyous gathering to celebrate Barbie 1-4 p.m. Sunday, July 8, at the Huron Eagles Club, 2902 Cleveland Road West. Cremation has taken place. A private Committal service will be on Monday, July 9, at Scott Cemetery, Huron. In lieu of flowers, donations to commemorate Barbie’s love for her church and its congregation may be made to Christ Episcopal Church, Huron. Condolences, and memories, including pictures, may be shared at fosterfh.com.